You Only Live Twice is the 12th of thirteen James Bond novels written by Ian Fleming and the last to be published (in 1964) while he was alive. The novel follows on from the shocking events of On Her Majesty’s Secret Service – a book you should probably read before you pick up this one. Shaken and not stirred, please! 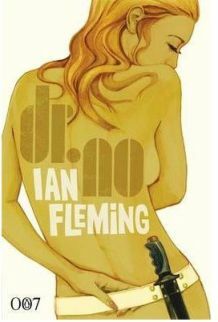 Doctor No is the sixth book in the series of James Bond adventures written by Ian Fleming and was originally published in 1958. The story starts with 007 still recovering from the events of From Russia with Love and his poisoning at the hands of Rosa Klebb. M discovers that Bond has been given tetrodotoxin, a poison that derives from a type of Japanese fish. A combination of Bond’s friend Rene Mathis and a doctor well versed in poisons manage to save our hero and, despite a grim diagnosis, he recovers.